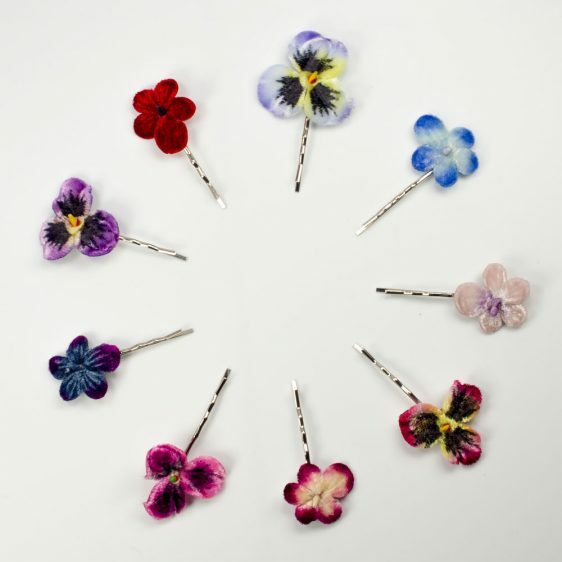 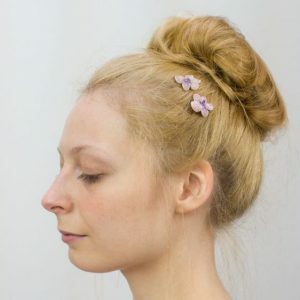 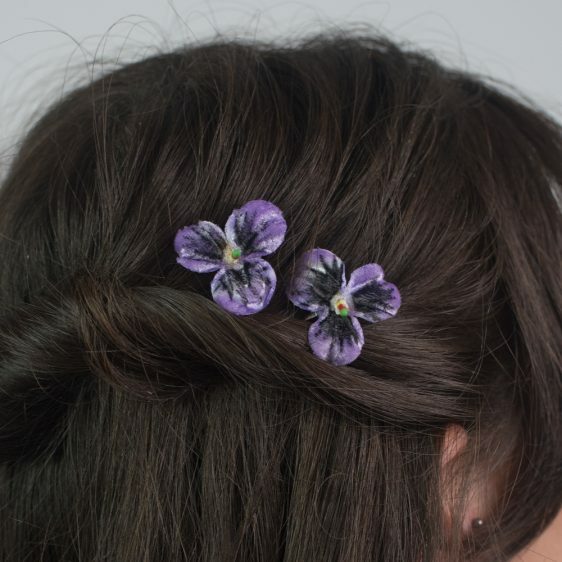 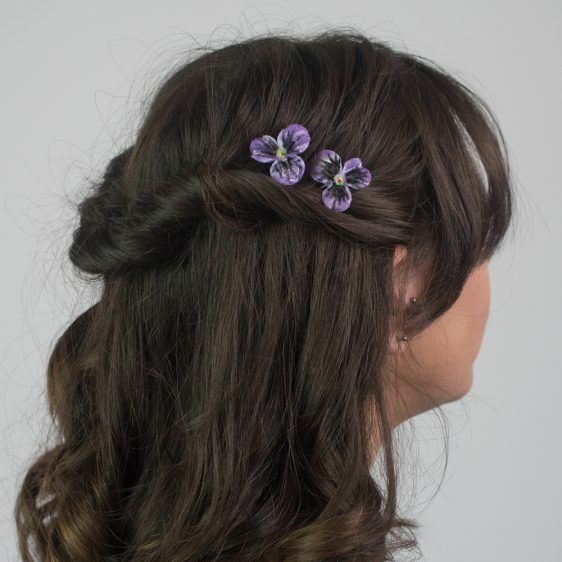 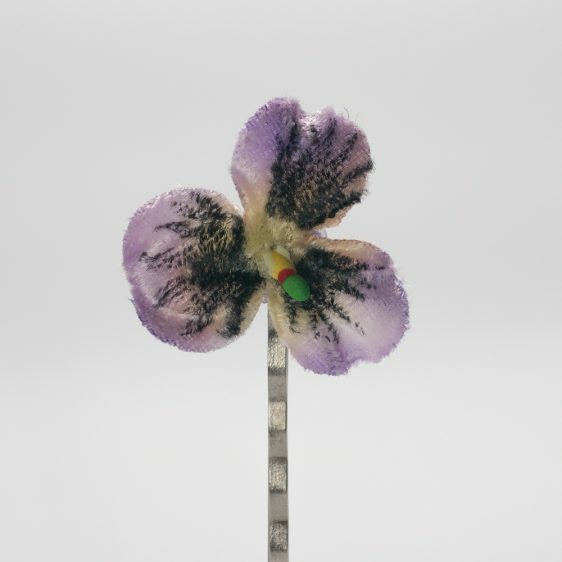 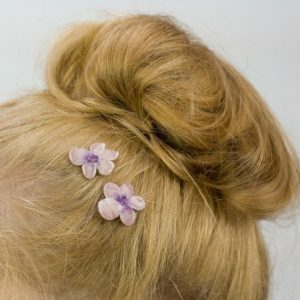 Purple vintage-style pansy flowers mounted on silver coloured bobby pin hair clips. 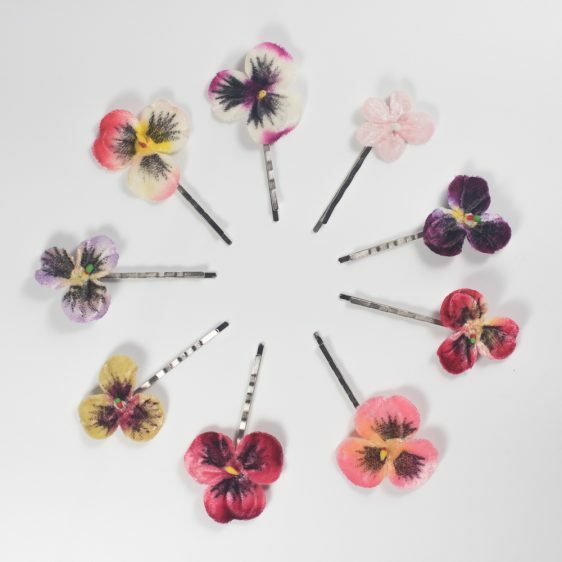 These flowers are all handpainted and as such there may be some variation in the patterns of the detailing. 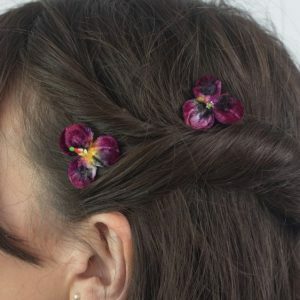 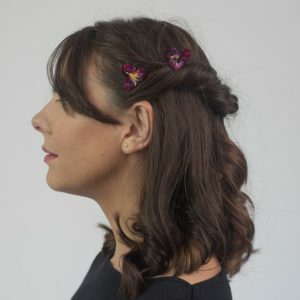 These pretty velvet flowers are perfect for everyday wear and are so very versatile. 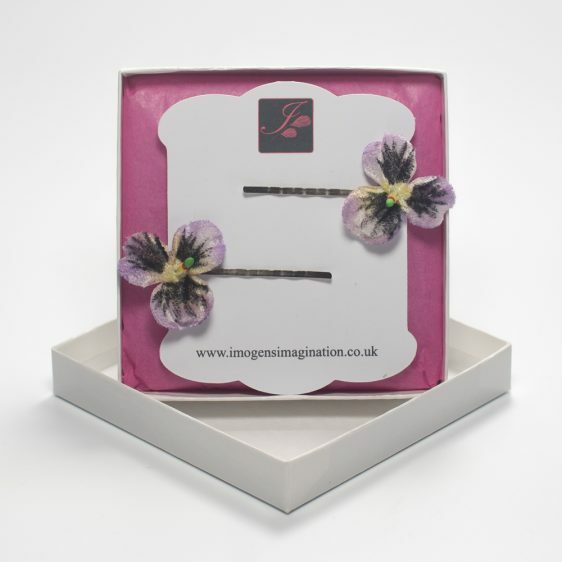 Your pair of hair clips will be sent out in a presentation box to protect the flowers and their central stamen.